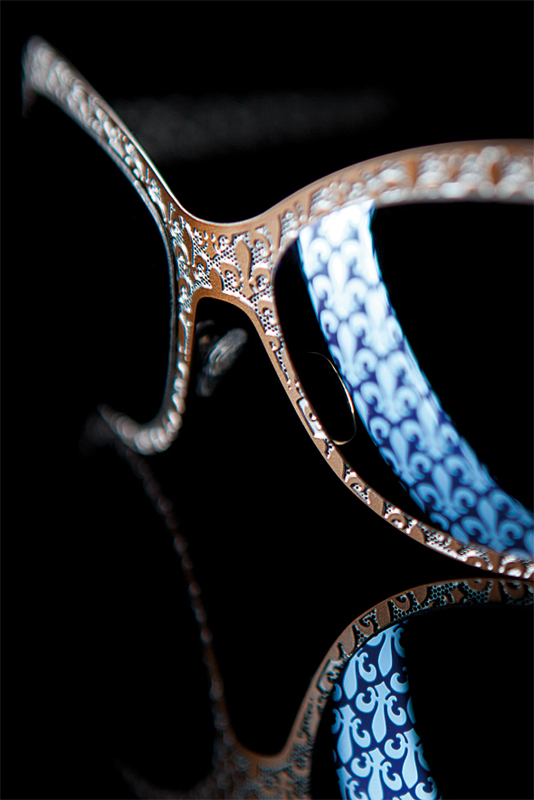 French eyewear label J.F. 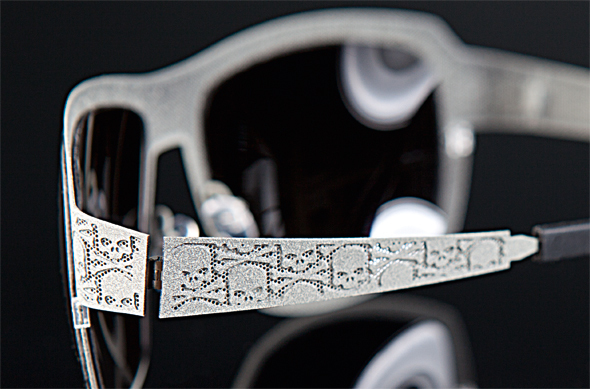 Rey is showing a tremendous love for detail with their current Moonglasses collection, making it a perfect candidate for a closer look in this edition’s Details segment. We focused our macro lenses on the masculine Black Heart, as well its female counterpart – the Bloody Lys model. Both pieces are crafted from upscale metal, virtuously processed like delicate spun lace. Not to forget the extra touch: The lenses on both frames have been imprinted with their designs through a specialized vacuum process. The icon on the Bloody Lys is a heraldic fleur-de-lis, representing purity and innocence. Women with a fable for French aristocracy will feel reminded of Marie Antoinette, although we hope for a more pleasant fate than that of the former French monarch. On the other end of the spectrum, the Black Heart offers a rebellious and rough counterpart for male wearers. 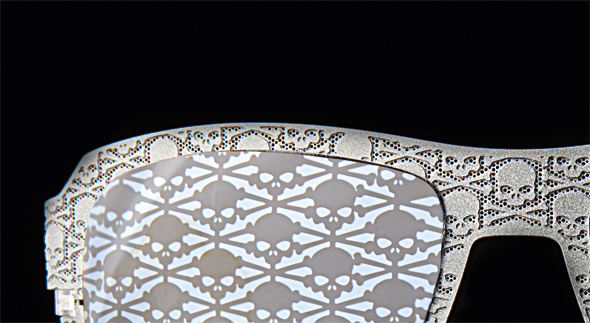 Both the frames and lenses are adorned with skull imagery. Adding to the rebellious touch, the Black Heart is layered with a gray-sprinkled metal coating, reminiscent of rock structures. 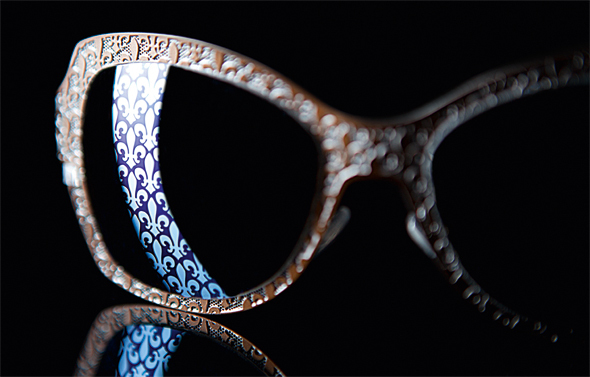 Both frames are crafted with a high level of precision. Their lightness and flexibility add lengths to the comfort of wearing. 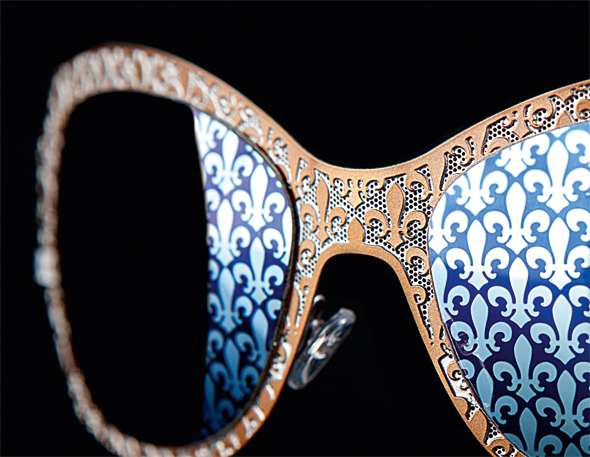 True to their moniker, the Moonglasses collection is simply out of this world. With both glasses, J.F. Rey is making a bold statement in terms of style and progressive design.